In 1998 Jack & Sara Kimmich bought 15 acres of organic farmland in rural San Benito County, California. The entire farm is off the grid, powered by the wind and sun. 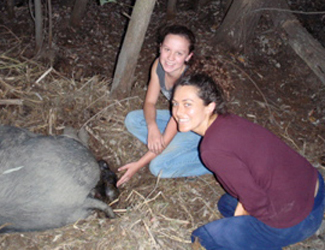 The Berkshire pigs didn’t come till much later, in 2010. 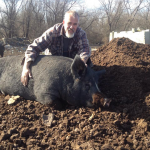 They were first intended to be part of a self-sustaining family farm project, but as the pig herd expanded, so did the possibilities of raising and marketing some of the most delicious pork ever tasted. Thus was born California Kurobuta. 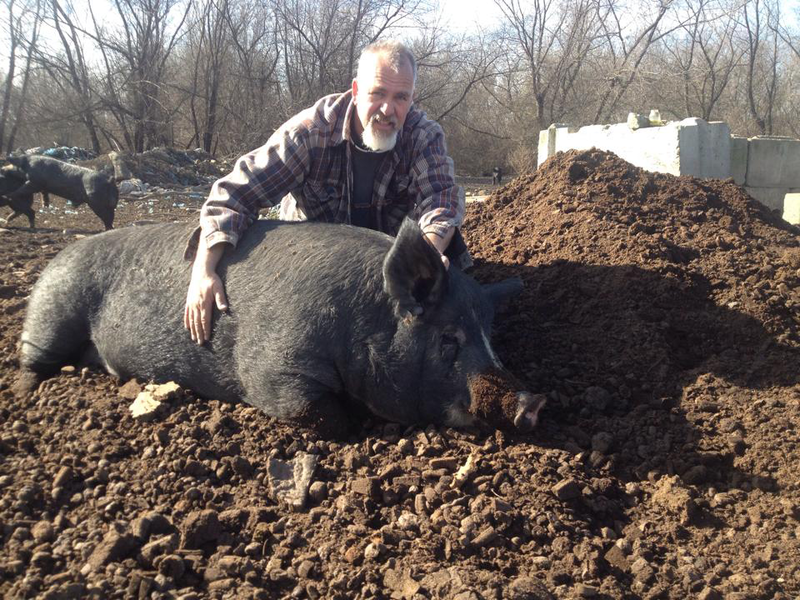 Now you can enjoy the premium taste of purebred Berkshire pork, from our farm to your table. Sara grew up on a small “hobby farm” where she enjoyed raising a variety of animals—dairy goats, chickens, horses, cattle, rabbits, ducks, and catfish. She has fond memories of bottle-feeding calves and kids, collecting eggs, and making clover chains on a summer’s evening…and to be realistic, some not-so-fond-memories of painting endless miles of fence in the hot sun, plucking freshly-killed chickens, and mucking out the barn. 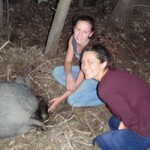 Sara thinks that the farm experience was a wonderful way to grow up, introducing a good work ethic early in life. Jack was raised in a business-oriented family and, after a brief stint in the US Air Force, naturally gravitated to entrepreneurship and started his own business. Farming was not on the list, except as a vendor for fertilizer. Jack and Sara have owned and operated a landscape supply and trucking company for many years. Their three children grew up with the business, learning as youngsters how to operate heavy equipment, drive trucks, and talk to customers.